Absolutely, ISO 22000 food safety management system certified by CQC, also covering GB/T 22000-2006 / ISO 22000: 2005. Absolutely! 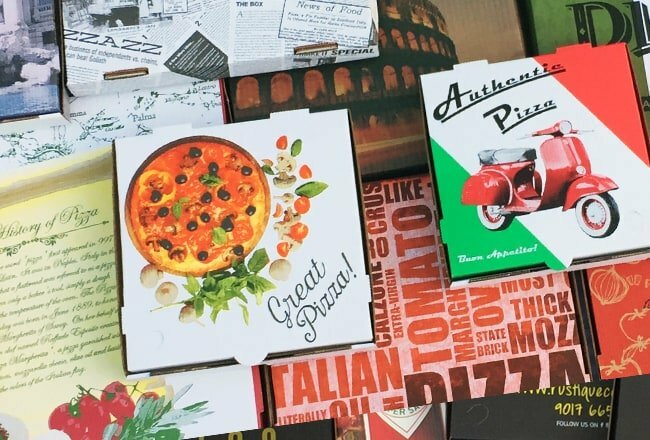 Couponabox pizza boxes are in complete compliance with EU and US FDA Regulations under 21 CFR part 176.170, 176.180, 176.260, 176.300 and 182.90 for direct food contact packaging. Our pizza boxes use the highest level paper grade to ensure meets your countries customs regulations 100% guaranteed. This also includes Pizza Pads / Insert Liners and our entire pizza accessories range. Available in E Flute and B Flute as a stock service. Other corrugated flutes are available upon request. Absolutely. We have an artwork department to assist with design of your custom box. Can I still have my existing generic or custom print?